Ministry of Education; Ministry of Aviation, Nigeria Communications Satellite (NIGCOMSAT) and National Agency for the Control Aids (NACA) have continued to deny Nigerians access to public information by not responding to Freedom of Information (FOI) requests sent to them. On Thursday, October 18, The ICIR submitted an FOI request to NIGCOMSAT. The purpose of the request was to obtain contact details for LOT 1 to 15 NIGCOMSAT procurement. Two months after, prospects of getting the needed information are still very slim. On November 13, The ICIR filed another FOI requests, which included the request on the contract status of HIV counselling, testing and demand creation awarded to three companies from the NACA and a reminder to NIGCOMSAT on the request sent to the agency. The ICIR is yet to receive responses for the two requests sent to the concerned public institutions. The ICIR on 22 November, filed two FOI requests to the Ministries of Education and state for Aviation, to request for information on the implementation status and contact details of 2017 zonal intervention projects under each ministry, three weeks after acknowledging the receipt of the letter, both ministries are yet to respond to the request, hence, violating section four of the FOI act, which, compels public institution to make information available to the applicant within seven working days. Experiences gathered by The ICIR reveals that the ministry of education is known for violating the FOI Act by not responding to requests sent to them. 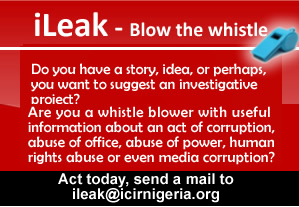 In October, The ICIR reported how public institutions frustrate Nigerians’ access to public information despite FOI law. The ministry of Education is part of the public institutions who are serial violators of the act. The FOI Act was signed to law in 2011 by former President Goodluck Jonathan and since then, all requests for information received by a public institution have to be dealt with in accordance with the FOI Act. The right to access or request any information or record that is in the custody or possession of any public institution or private bodies providing public services, performing public functions or utilising public funds. The right to be told whether the information or record exists. The right to have the requested information or record released if the information or record is in the custody or possession of a public institution. The right not to demonstrate any specific interest or purpose in the requested information or record. The right to receive information that public institutions are obliged to proactively disclose under the Act. The right to take legal action in Court to compel any public institution to comply with the provisions of the Act, including discharging their proactive disclosure obligations under the Act. Also, according to section 29 of the FOI Act, every public institution must submit its annual report on or before February 1 of each year to the AGF on all applications of FOI request they received. For 2017, only 73 out 900 public institutions in Nigeria complied to that provision of the FOI act. This amounts to about only 8.1 per cent compliance to section 29 of the FOI act by public institutions. The ICIR had earlier in the year reported how budget provisions meant for the implementation of FOI request have not been utilised fully to ensure compliance with the FOI Act.